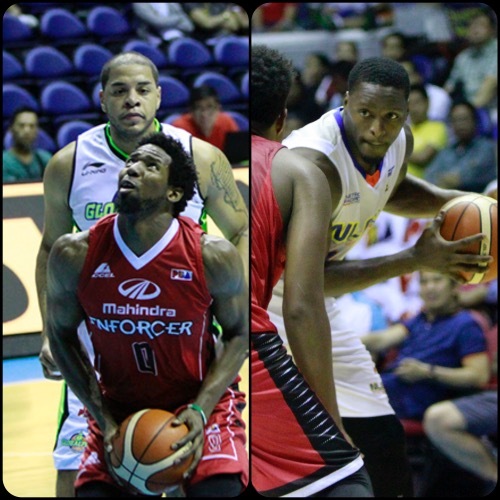 Action in the 2016 PBA Commissioner’s Cup continued to heat up last night as the Mahindra Enforcers upset the GlobalPort Batang Pier and the NLEX Road Warriors slipped past the Bgy. Ginebra Gin Kings! 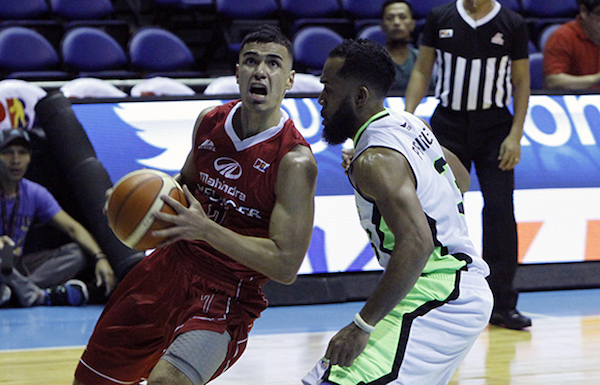 The Mahindra Enforcers blitzed past the GlobalPort Batang Pier, 111-98, to open their OPPO PBA Commissioner’s Cup campaign on a high note Friday at SMART-Araneta Coliseum. KG Canaleta, who was celebrating his 34th birthday, finished with 20 points, including four of six triples, to go along with six boards to lead the Enforcers, whose hot shooting in the first quarter gave them a cushion until the end. 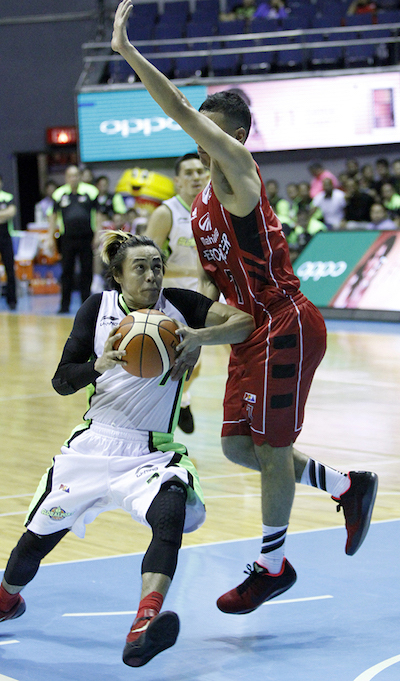 Terrence Romeo matched his career-high 41 points to begin the new conference with a bang, but he couldn’t carry GlobalPort to a win as Mahindra converted clutch baskets in the end. Romeo really exploded in the third frame. He scored 14 straight points to pull the Batang Pier within one of Mahindra, 62-61. A triple by LA Revilla then stopped the bleeding as Mahindra remained ahead despite GlobalPort’s threats. Romeo continued to keep the Batang Pier afloat, and his triple at the 6:11 mark of the fourth quarter kept his team just down by three, 92-89. 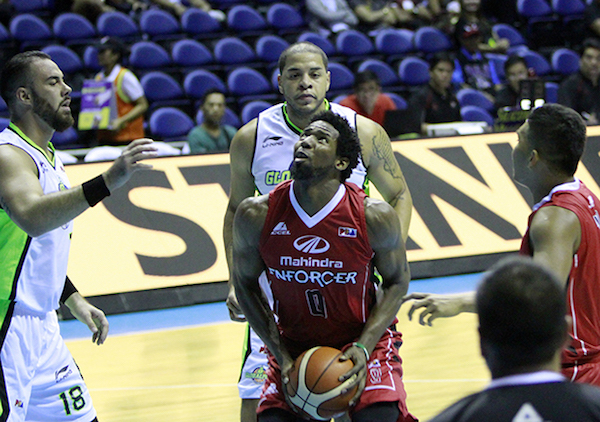 Augustus Gilchrist didn't have big numbers, but he still contributed to Mahindra's win over GlobalPort. Michael DiGregorio also had an impressive outing for the Enforcers. Terrence Romeo's 41-point explosion went all for naught as the Batang Pier got tripped by Mahindra. But led by Karl Dehesa, who scored 12 markers, Mahindra rifled 11 straight points to build a comfortable 103-89 lead with under three minutes left. A total of seven Mahindra players made at least 10 points, also getting contributions from Revilla (17), Michael DiGregorio (14), Mark Yee (11) and Bradwyn Guinto and import Augustus Gilchrist (10 apiece). In contrast, Romeo only had little help from his GlobalPort teammates, with import Brian Williams (13) and backcourt partner Stanley Pringle (12) only the ones chipping in double-digits in scoring. KG Canaleta (MAH) - 20pts, 6rebs, 1blk, 4 triples, 8/12 FGs. Terrence Romeo (GLO) - 41pts, 5rebs, 2stls, 17/33 FGs. 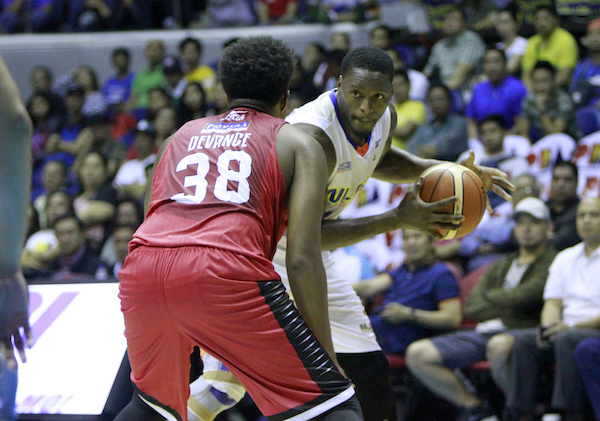 NLEX import Al Thornton scored 50 points – including 10 in overtime – to lead his Road Warriors to a rousing 114-112 win over Barangay Ginebra to open their PBA Commissioner’s Cup campaign on Friday at the SMART-Araneta Coliseum. Thornton, who also tallied 50 in a game against Ginebra last season, continued his mastery over the Kings, shooting 16-for-30 (53%) from the field and 16-for-20 (80%) from the free throw line in an efficient offensive performance. He was stellar in the extra period, making both of his shot attempts from the field and going a perfect 6-for-6 from the charity stripe to help ensure the win. 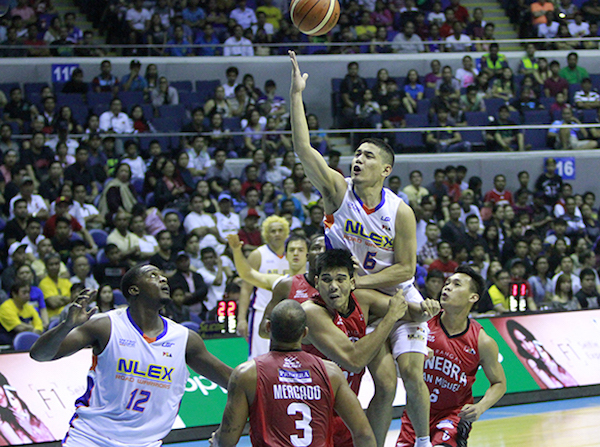 Kevin Alas provided some additional firepower for NLEX, scoring 21 points on 7-for-12 shooting. Sean Anthony had a double-double with 15 points and 11 rebounds, while Jonas Villanueva chipped in 12 markers. 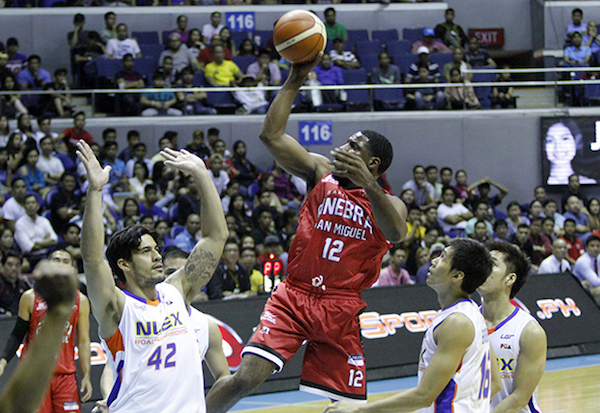 Al Thornton's 50-pt explosion pushed NLEX past Ginebra in OT. 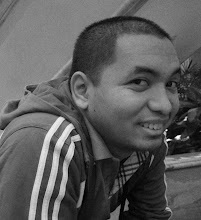 Kevin Alas also did well, providing a lot of firepower for the Road Warriors. Othyus Jeffers had some shooting woes as the Gin Kings fell in OT against NLEX. Ginebra led by as many as 13 points in the second quarter and held a double-digit lead, 51-41, at the halfway point of the game before NLEX turned things around in the third period. Gineba import Othyus Jeffers had a solid outing, finishing with 31 points and 20 rebounds. He only shot 38% from the field, though, and had five fouls in the ballgame. He did make all 11 of his free throws. Joe Devance had 18 points, four rebounds and five assists in the contest. The Kings, though, fell just short in the game where they missed the presence of 7-foot-tall starting center Greg Slaughter, who sat out the game. Al Thornton (NLX) - 50pts, 7rebs, 4asts, 2 triples, 16/30 FGs. Othyus Jeffers (GIN) - 31pts, 20rebs, 3asts, 2stls.